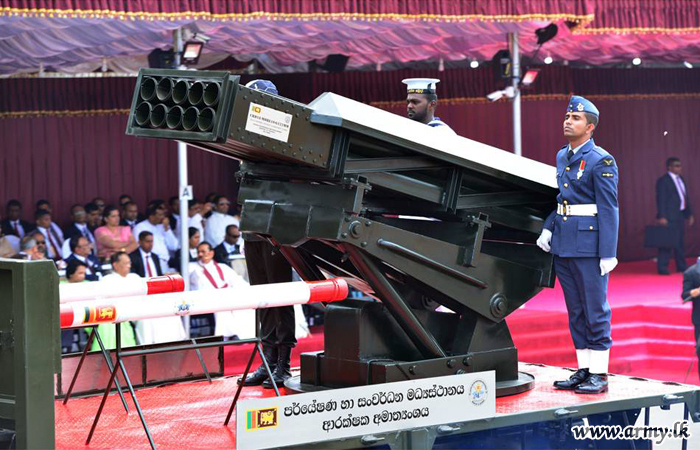 The Sri Lankan military has manufactured its own multi-barrel rocket launchers (MBRLs), a weapon that the army used to devastating effect in a military offensive that slaughtered tens of thousands of Tamil civilians almost a decade ago. The Sri Lankan army’s Centre for Research and Development (CRD) director unveiled a ten-barrel MBRL at the Independence Day parade in Colombo last week, boasted General Brigadier Thiran de Silva. Experts from the military and local universities were involved in the manufacture, which cost Rs. 7 million. “The MBRL was manufactured according to international standards and can use shells or rounds used in the MBRLs made in China and Pakistan,” de Silva added. The military was now focussing on producing more MBRLs with even bigger capabilities he said, stating that the next project was to manufacture a twenty-barrel weapon. The army had used Czechoslovakian-built RM 70 MBRLs during its military offensive - a weapon capable of firing 40 rockets packed with 256 kg of explosives in just 30 seconds. In February 2008, at the height of the killings. Slovakia reportedly sent 10,000 rockets to Sri Lanka amidst criticism that the sale had broken European Union regulations. Unconfirmed sources speculated that Sri Lanka paid just $180 per rocket. See more from the BBC on that sale here and from the Slovak Spectator here and here. Previous purchases were also made in prior years, such as in 2000. See more on the acquisition of those weapons from the BBC here. Hospitals were repeatedly shelled and civilian areas targeted during the offensive, with tens of thousands were massacred in the space of a few weeks. To date, no one has been held accountable for the killings. See an example of Sri Lanka deploying an MBRL below.